SUBHEAD: The taste of good food comes from the land and it tells you its tale on your tongue. Image above: A rounf of raw milk farmer's cheese. From (http://momsdish.com/recipe/267/farmers-cheese). Wendell Berry’s astute statement that “eating is an agricultural act,” uncontrovertibly connects food back to the land and back to the soil. One of the sessions at the Harmony in Food and Farming conference featured Darina Allen, Bronwen Percival and Illtud Dunsford, and took Berry’s statement as a starting point, going on to explore this most essential relationship between food and the land from which it comes. Darina Allen, who chaired the session, is one of the early doyennes of the farm to table movement that had its efflorescence in the 70s and 80s. Having founded Ballymaloe Cookery School in 1983, the school has a long and illustrious history introducing chefs and other students to the ethos of ‘Slow Food’ cooking, using the wonderful organic produce of the Ballymaloe farm. The session focused on the two very personal journeys from farm to table of the session’s speakers. Bronwen Percival has for many years been the cheese buyer for Neal’s Yard Dairy. Her interest in cheese and dairying more generally has roots in her own family history – her grandfather emigrated from Switzerland to California in 1906, starting up a small mixed farm which grew over decades into an intensive dairy enterprise that finally collapsed when, even with 2300 cows milking, it could not compete with ever larger and more intensive farms. Percival is a purveyor of farmhouse cheeses and she seeks out those for purchase by Neal’s Yard Dairy which still retain the distinctive specificity of place of the farms where they were made. She spends her time travelling to farms and working with farmers to encourage best practice and the sharing of knowledge between farmers, breaking down the silos in which many of them live and work, to extend learning. Percival is concerned about the knowledge and expertise lost as dairying and the tradition of farmhouse cheeses changed “so drastically” with the rise of intensification. The industrialisation of cheese has been a serious threat to quality farmhouse cheese, and Percival is most interested in the microbial communities that are specific to a farm and give cheese a distinctiveness that is like no other farm. She has been researching this over the past few years and is shortly to be publishing a book on the topic Reinventing the Wheel: Milk, Microbes and the Fight for Real Cheese. While the milk produced by grazing ruminants on very specific fields may not have much variation in flavour, when this milk is processed into cheese, the very diverse array of microbial life particular to that farm becomes vividly apparent. Farmhouse cheese should taste of the farm it comes from and tell the taster about the farming system which produced it. 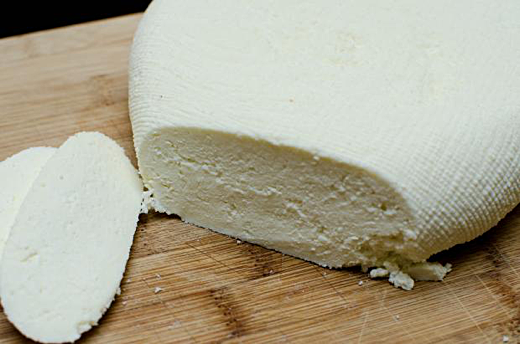 Cheesemaking on the level of farmhouse cheese is governed by locality and the importance of this is something that has been lost in industrial cheese production. Allen commented on how eating has changed and people eat fewer and fewer local foods. This decline in local diets may also be having an impact on health. “Each farm has its own ecosystem and flora and the food that comes from it is uniquely from that place and for local people, it’s local food. But nowadays, the reality of most people’s lives…very little of the food that people eat is actually local food. The disappearance of local foods in local diets is notable in British cheese-making. Percival recites a litany of decline among local cheeses – in 1939, there were 333 farmhouse producers of Cheddar, in Somerset, and in 2017 that had declined to 3; similarly, Wensleydale, in the same period went from 176 to 1; and the last farmhouse Stilton ceased production in 1935. We need to return to cheesemaking that reflects the flavour of farming and understands the value of small-scale and the particularity it brings to cheese. The conversation moved to Illtud Dunsford, who comes from a long line of farmers working the same valley near Llanelli in West Wales for over 300 years. Dunsford was a Nuffield scholar and was interested in the harvest of pigs across the globe, looking at how the whole pig was used. His story is one steeped in history and tradition – his farm dates back to the 12th century and features in the Mabinogion. He raises Welsh Pigs and feeds them using ‘waste’ co-products – such as brewer’s grains, whey, bread, waste beer – again a very traditional aspect of animal husbandry. Dunsford also sources local feed, mainly barley and wheat as alternatives to soya. ‘Pannage’ – the tradition of taking pigs into the woods to eat acorns and other wind-fall food in the autumn – is also something he does. Dunsford is raising slow growing pigs in contrast to conventional practice in pig production – he is interested in flavour, not mass. The Welsh Pig is a rare breed that is coming back from a steep decline and Dunsford has been working with the Pedigree Welsh Pig Society to save the genetic specificity of the breed and also to have these pigs designated as Traditional Speciality Guaranteed, under the European Protected Food Name programme. This designation is defined not just by the particularity of the pig in a specific place but also by a traditional farm system of raising and harvesting these pigs – it is ‘Traditionally Reared Pedigree Welsh Pork’. It is important to Dunsford that his products come out of a farming system which privileges slow development, high animal welfare and locality. Dunsford is now seeking a further designation from Slow Food as a ‘Presidia Product’. This designation “sustains quality production at risk of extinction” and encompasses relationships with the farmers, processors, chefs and all the people linked to that product. Dunsford and Percival both tell stories that grow out of family history and argue for the importance, and indeed the necessity, of farming systems which make explicit connections with the land and communities they sit within. That food always links back to its production system – both good and bad – is the essence of the statement ‘Eating is an agricultural act’. The taste of good food comes from the land and it tells you its tale on your tongue.